Save Shottery: Can the Trust be trusted? Can the Trust be trusted? The BBC thinks it can. The local news reporter bought the Trust’s headline ‘no plans to sell land to developers’, when the piece it put out on TV and online this week plainly said ‘we are keeping an open mind on whether to sell land to developers’. So the headline could equally have said 'no plans not to sell land to developers'. ITV Central news has been covering this longer than the BBC. But its televised pieces on Wednesday 28 November, featuring Save Shottery, seemed to give more weight to one bemused letter from Susi in Shottery than it did to 1,300 petition signatures from 24 countries. Through its PR offensive this week, the Shakespeare Birthplace Trust thinks it has got everyone where it wants them. It’s presented itself as a thoughtful, considerate organisation that must carefully weigh up information before making any decisions. A body that agrees with protesters, a body that is against development. When it is, in practice, an inert, procrastinating institution, hidebound by irregular meetings and absent Trustees, which played next to no part in the Public Inquiry, allowing the Planning Inspector and Eric Pickles to conclude that, despite its words, it wasn’t really against the development. When it is a body that continues to put up a smokescreen, allowing other organisations to take the strain, financially and politically. In one breath, Richard Hyde, deputy Chairman of the Trust, says there’s ‘no offer on the table’. In the very next, he says ‘we could have sold the land’. How, without an offer? For the very reason that the Trust has been peddling a series of mixed messages, the Save Shottery campaign has to pose the question: can the Trust be trusted? 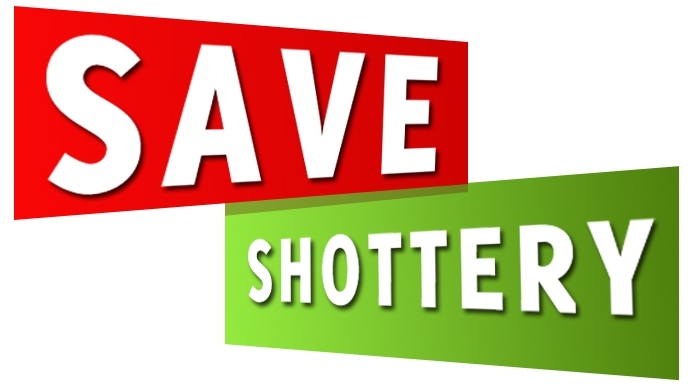 As journalists have yet to get underneath the scandal that we know lurks beneath the facade of the Shakespeare Birthplace Trust, the Save Shottery campaign will act as ‘TRUSTwatch’. We will continue to ask questions. There are still so many that the Trust needs to answer, if it is to regain any kind of good public reputation. Why is the Trust ‘keeping an open mind’ on something that is so fundamental to its purpose, when it continues to admit that harm will come to Anne Hathaway’s Cottage through this development? What does that say about the fitness of its Trustees to fulfil its responsibility to the nation? Why is the Trust waiting until after Stratford District Council has been through the legal process? Their absence from the legal process to date swayed Eric Pickles in favour of development. Their continued absence in the final recourse, the High Court, will simply confirm this. If the Trust considers this important enough to be decided by the full body of Trustees, as opposed to the Executive group of Trustees, when will it release declarations of interest from individual Trustees? We are still considering whether to sell out Shakespeare’s legacy for shedloads of money. We will not be helpful to any other organisations fighting the development. compulsory purchase take place – when we will appear as the victim and get to take all the money. Job done. How romantic! Shylock couldn’t have thought out a better strategy.